Having looked at the Navy’s use of 8-inch Parrotts, it is time I turned to the Army’s use of the type. 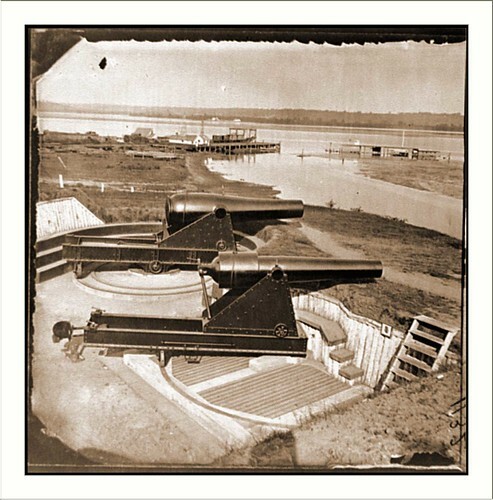 Like the Navy, the Army purchased these heavy Parrott rifles with Confederate ironclads and fortifications in mind. Unlike the 6.4-inch Parrott, the Army did not employ the 8-inch in a “garrison” role to counter potential siege activity. The anti-ship role in mind, the Army placed a few 8-inch Parrotts in the Washington defenses. Wartime photographs show an 8-inch rifle next to a 15-inch Rodman smoothbore. The view offers a good comparison of the types, and the two primary carriage types used. This particular Parrott used a front pintle barbette carriage, while the Rodman used a center pivot. Battery Rodgers included five 8-inch Parrotts. Across the River at Fort Foote, two more 8-inch Parrotts, along with another 15-inch Rodman, sealed the river approaches to the capital. [Note 1] A never called upon defense. The 8-inch rifle remained on the Army’s inventory well into the post war era. 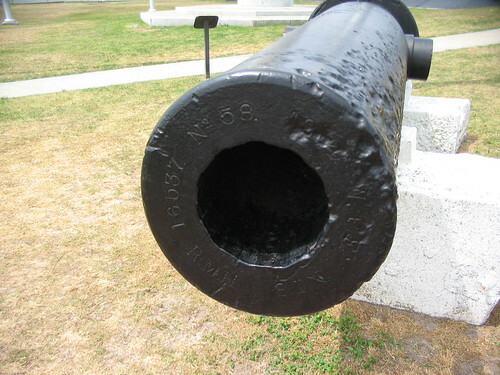 Two examples displayed today in the Charleston, South Carolina area, along with two at Fort Gaines, Alabama, likely owe their survival to use at those forts after the war. Even counting the post-war service, the 8-inch rifles used to defend America’s shores was a mundane service life at best. 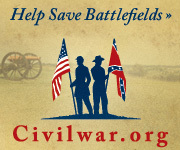 From the standpoint of a Civil War historian, those used in siege operations against Richmond and Charleston offer the more interesting stories. I shall turn to those stories in future installments. 1. Benjamin Franklin Cooling III and Walton H. Owen II, Mr. Lincoln’s Forts: A Guide to the Civil War Defenses of Washington (Lanham, Maryland: Scarecrow Press, Inc, 2010) pp. 52-54, 244-245. 2. OR, Series I, Volume 33, Serial 60. See correspondence from Major General John Peck, dated March 20, 1864, p. 707. Report of General Peck on the Battle of Plymouth, dated April 25, 1864, p. 293. Report of Brigadier General Henry Wessells, dated April 17, 1864, p. 298. 3. OR, Series I, Volume 36, Serial 69, Confederate War Department Special Orders No. 132, p. 879. OR. Series I, Volume 40, Part 3, Serial 82, Report dated July 5, 1864, p. 21. Naval OR, Series I, Volume 14, Report of Commander Colhoun, U.S.S. Saugus, dated December 6, 1864, p. 146. 4. OR, Series I, Volume 50, Part II, Serial 106, Correspondence from General Richard Delafield dated May 26, 1865, p. 1242.